Its been nearly 10 years since Sunbeam opened its doors, and since day 1 we have been running on 100% renewable electricity. That means we have bought from a specialist supplier a deep green tariff ensuring that for every KWh of power used, they have to put the same amount from renewable sources back in to the grid. When you shoot with us it means you help to support our sustainability initiatives, so take some credit for these good works! In the early years our emissions savings were around 5 tonnes per year, but as we have expanded we estimate that over the past decade we have reduced our CO2 output compared to the national average by approximately 100 tonnes. Now we are all big and grown up the figure is around 30 tonnes of CO2 saved every year! Sounds impressive but what does it mean? What does 30 tonnes of CO2 each year actually equate to? Turns out we could take our friends on a road trip in a double decker bus 12 times around the equator with the equal amount of CO2 emissions. The trip would also take a whole year, driving 8 hours a day. That’s a lot of Eye-Spy and One Man Went to Mow. And environmental damage. We decided to stay at home and save the C02. 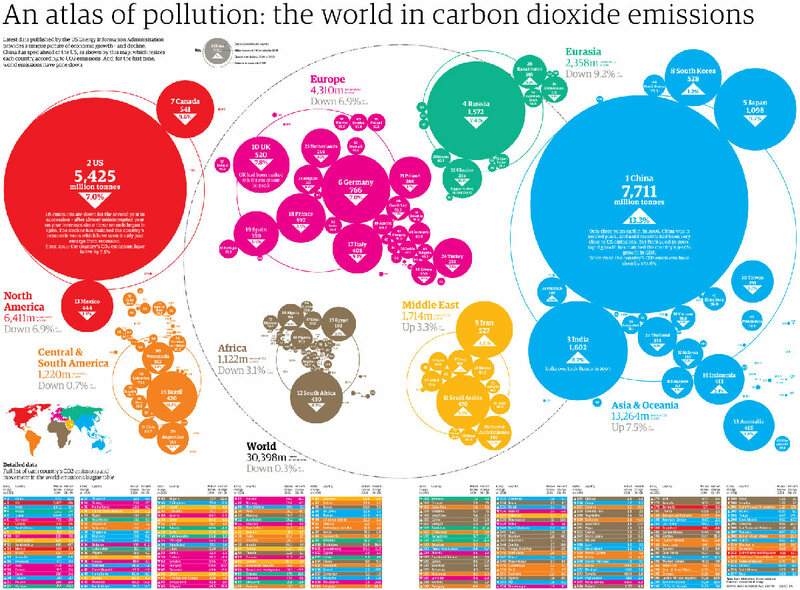 The above map of world CO2 is from the Guardian, you can see the whole article here. Global warming is mainly the result of CO2 levels rising in the Earth’s atmosphere. Both atmospheric CO2 and climate change are accelerating. Climate scientists say we have years, not decades, to stabilize CO2 and other greenhouse gases. Changing over to renewable energy is a simple choice, we use Green Energy.